If adventure and adrenaline pushes your buttons or you dare to face your fears, Skyswing challenges you to feel the rush. 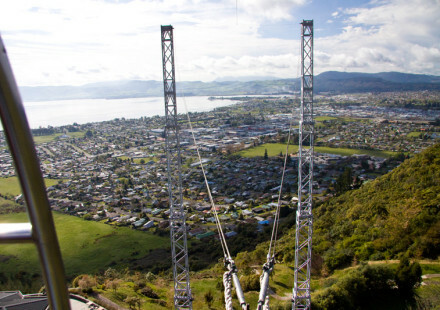 Hold on or dare to dangle as you are hoisted 50 meters high above Skyline Rotorua in the three-seated Skyswing. 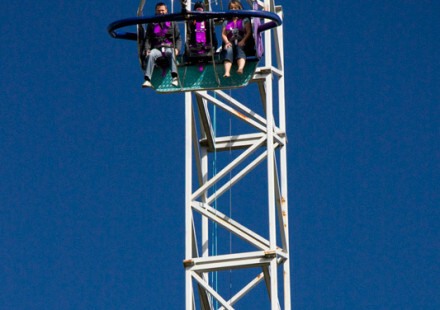 Hanging from your harness, it’s on you to make the drop. 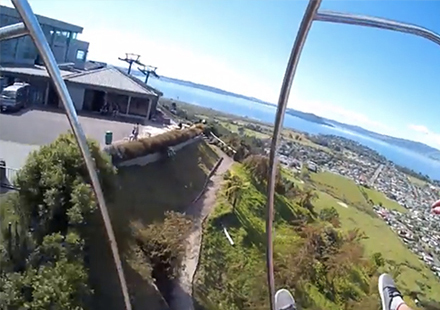 Swoop into 150kph as you swing out over the beautiful views of Lake Rotorua and beyond. At Skyswing our passion lies within our customer. We pride ourselves in making you step outside your comfort zone, test your limits and create unforgettable memories. Whether you crave thrilling adventures or you prefer the cozy sidelines, we guarantee you’ll walk away laughing. 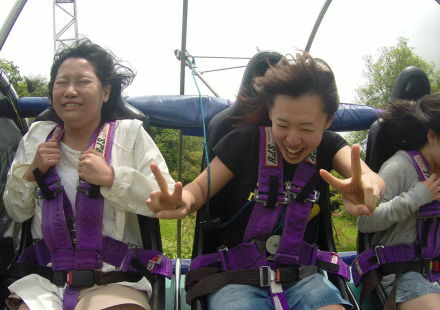 Our fully qualified, friendly staff follow the strict safety procedures, leaving nothing but excitement in your hands. Just when you thought things couldn’t get any better. 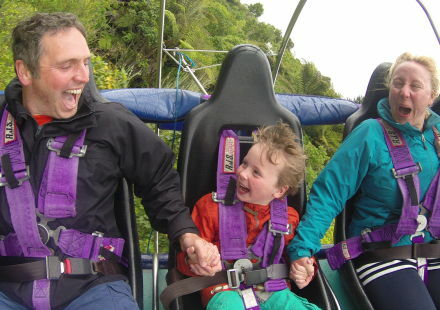 Skyswing pricing is affordable and makes you want to come back for more. 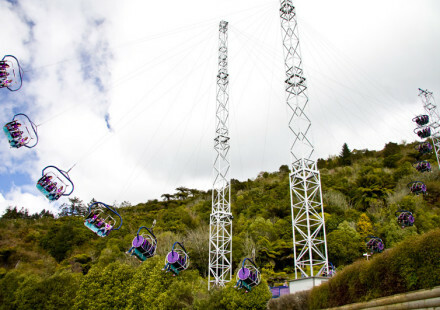 Skyswing tickets are available as a combo deal from Skyline’s Gondala terminal or you can purchase directly from us at Skyswing. 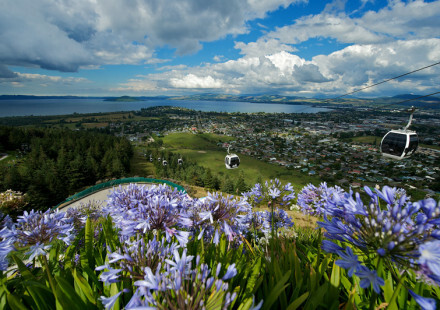 We have a fantastic package deal available online through iSite Rotorua, click the package link below to learn more. 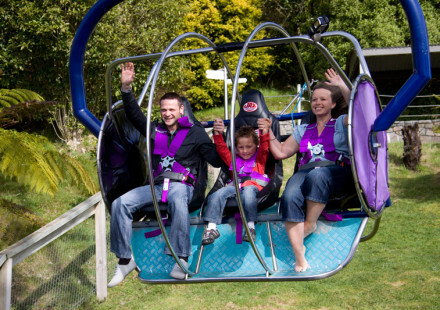 Our specially designed safety harness requires all Skyswing thrill-seekers to be over 1.1 metres tall. We have a minimum age of 5years old! 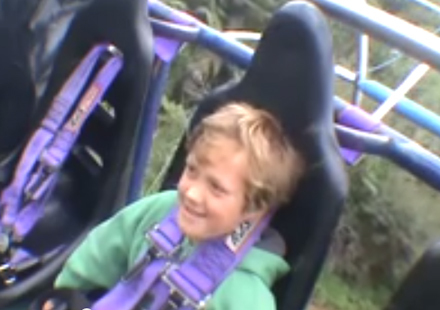 That’s right; if you are 5 you can ride! Andrew Gunn – Montreal, Canada. 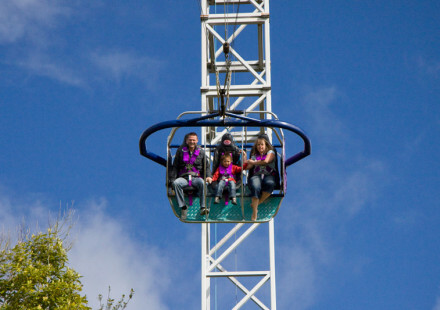 Contact our friendly Skyswing team for any questions you might have. 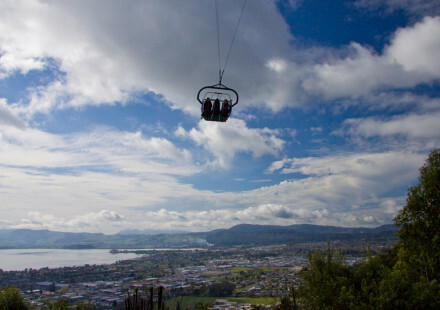 We are open 9:30 am till late and are located at SkyLine Rotorua. © 2014 Skyswing. All Rights Reserved.